It is vital to be aware of the importance of Calcium for Women health. Our human body consists of many essential elements out of which Calcium is one such major mineral which is also denoted. Calcium is mainly found (about 99%) in our skeleton and also in our teeth, body tissues, extracellular fluid and blood plasma. According to medical study conducted in UK, it is said that calcium has more percentage in human body as compared to other minerals. Major portion of calcium is found in bones and a very less percentage (about 1%) is circulated in dissolved form in the blood plasma, body cells and other body fluids. What Role Does Calcium play in the Body? The human body gains strength and its structure due to the calcium present in it. Calcium is essential for strong bones and smooth communication between the human brain and other body parts.Hydroxyapatite crystal is a form of calcium phosphate which gives structure to our body. These crystals are present in collagen. Ion exchange between calcium ions in the body fluids and those present on the bone surface helps in maintaining the balance of calcium level in bone and blood. Calcium contributes in the regulation of muscle contraction. It reacts with regulatory proteins and triggers contraction. In the absence of calcium these proteins prevent interaction between the proteins actin and myosin. The proteins tropomyosin and troponin on the actin filaments regulate the striated muscle movement which occurs due to the interaction of filaments consisting myosin and actin proteins. An electrical signal is passed through a motor nerve to a muscle that triggers a depolarisation of sarcolemma which is a muscle membrane. In turn the sarcoplasmic reticulum is triggered for the release of calcium ions in the interior of muscle. Here they interact with troponin resulting into shifting of tropomyosin from the face of actin filament to bind with myosin which leads to contraction. In relaxation calcium gets pumped back in the sarcoplasmic reticulum. Now tropomyosin gets back to its off position due to loss of calcium. Calcium for women plays crucial part in regulating the heartbeat. Calcium present in the blood vessels helps in nerve transmission. It is very important to have optimum calcium levels in the blood to prevent irregular heartbeats and muscle spasms. Coagulation is also known as clotting. When skin gets broken due to injury, platelets in the blood form clots to prevent loss of blood. In clotting blood changes its shape from liquid state to gel. It results in haemostasis which is cessation of blood loss from a damaged vessel. This process is followed by repair of the blood vessel. When the wound gets exposed to air fibrin is formed due to the reaction of fibrinogen and the disintegrated platelets. There after different stages of coagulation are triggered in series including activation of platelets followed by their adhesion and aggregation along with deposition and maturation of fibrin. Calcium along with vitamin K and fibrinogen which is a protein forms the clots. Lower levels of calcium or vitamin K can lead to slow process of clotting. Absence of any of these elements can lead to death. Usually these elements are gained through proper diets but in some cases supplements are prescribed. Calcium for women has important role in hormone release. In human beings and animals the proper control of calcium ion in the body fluids is important. To maintain the optimum level of calcium level in blood there are endocrine control mechanisms in which interactions of three major hormones take place. PTH (Parathyroid hormone) which is made by the parathyroid glands, CT (calcitonin) and vitamin D have direct roles in controlling blood calcium level but there are other hormones also such as Estrogens, adrenal corticosteroids, somatotropin, thyroxin and glucagon which are also involved in maintaining the calcium levels under certain conditions. Approximately 10mg/dl is the blood calcium level found in mammals. Variations can occur due to diet, age, species and method of testing blood levels. If the calcium levels are below or above the normal calcium level then treatment is needed. Calcium is the important mineral for both men and women but it is more important for the health of women. After crossing age of 35 our body starts losing calcium from the bones. It is mainly during menopause that women start losing calcium rapidly. During menopause it is essential for women to have adequate calcium in their blood to avoid skeletal issues. The bone mass which our body gains during adulthood helps to fight against osteoporosis. Calcium For women especially it is important to have regular calcium intake since childhood. Premenstrual symptoms also depend upon the intake of calcium in diet as per medical study. Medical tests have proved that there is a strong link between calcium and vitamin D intake and PMS symptoms. It was concluded that having high intake of calcium and vitamin D can reduce risk of PMS. Another study has shown that uneven calcium levels can also lead to obesity. Women are prescribed to consume more calcium through diets and supplements during pregnancy. When a woman is pregnant her developing baby needs calcium for strong bones and teeth, healthy heart and muscles. It is also needed for normal functioning of heart and blood clotting abilities of the baby. The baby takes required amount of calcium from its mother's body so for a mother it is important to consume maximum amount of calcium through her diet to avoid loss of calcium from her body. It is also shown through clinical tests that calcium level is related to blood pressure also. In Argentina a research was conducted which showed that women taking calcium during pregnancy can lower the risk of future blood pressure related problems. Also calcium supplements proved to be beneficial for mother and child during the period of pregnancy. It is advised by doctors to check calcium levels even during nursing period and after it and take proper calcium through diet. It will prevent weakness of bones in future life. 1200mg calcium for women is needed per day if women age is 18 years or below. 1000mg of calcium for women is needed per day if women age isover 18 years, during and after pregnancy. We get calcium through our diet mostly. Dairy products such as milk, yogurt, cheese, cottage cheese, buttermilk, cream soups, pudding, and eggs are highly rich in calcium. Green vegetables such as fenugreek, spinach, and broccoli are rich in calcium. Seafood consisting of fishes like salmon, perch, rainbow trout and sardines contain calcium. Peas, soybeans and white beans contain maximum amount of calcium in them. Calcium is obtained from various nuts. Whole grain foods like rice, bread, oatmeal and cereals also contain higher amount of calcium. Beverages which are enriched with calcium such as soy and rice beverages, orange juice have calcium. Our body absorbs calcium from our food through bowel lining. Bones are the storage house of calcium in our body. The amount of calcium in blood is controlled by our body in a very systematic manner. When calcium level in blood falls down the bones restore the level by releasing calcium into the bloodstream. More calcium is absorbed in the bowel through food and less calcium is thrown out of the body through urine. You should consume dairy products at least four times in a day and also consume other foods which are rich in calcium in a day and make sure that your calcium intake is 1200mg per day. Why Should You Take Calcium Supplements? Sometimes it becomes troublesome for consuming sufficient calcium rich food through diet. In that case taking calcium supplements is the best option but you should not start the supplements without doctor's consultation. Depending upon how much calcium is needed in your body the dose of supplements is decided. The supplements also help to treat osteoporosis, rickets, osteomalacia, hypoparathyroidism and latent tetany. It is given to patients to recover their calcium loss from body. Pregnant women or nursing mothers are given calcium supplements so that babies get proper amount of calcium. After menopause calcium in the body of women gets lowered. To prevent weakening of joints and bones women are prescribed calcium tablets. Proper absorption of calcium for women body is very essential. No matter how much calcium enriched food you eat it is of no use if not absorbed properly in our body. Dairy products contain calcium which is easily absorbed by the body. Vitamin D is also essential for your body because it helps in the absorption of calcium in the body. Good sources of Vitamin D are orange juice, soy beverages, cow milk, fish, liver, eggs. Not enough Vitamin D is present in food so you can also go for Vitamin D supplement or multivitamin. Adults above 50 years of age can take a supplement of 400 IU of Vitamin D every day. Calcium absorption is highest-60 percent in young children and infants as their need for calcium to build the bones is much higher. As you age your capacity to absorb calcium decreases and in adulthood it is around 15 to 20 percent. However, in pregnant women this absorption capacity is naturally increased. Thus as you age your calcium absorption capacity keeps on decreasing and hence the recommended intake of calcium rich food and supplements is higher in people above 50 years of age. Note: Females lose more amount of calcium during their menopause period and hence calcium for women above 50 is recommended. Lack of vitamin D in appropriate amount in the body also leads to less absorption of calcium.Naturally, this nutrient is produced by the skin when it is exposed to the light of sun of sufficient intensity. So, it is vital that you should spend some time under the Sun early in the morning. Components such as oxalic acid and phytic acid that are present in the plants have a tendency to bind the calcium in the food thereby restricting its absorption in the body. Foods that contain oxalic acid in high amount include sweet potatoes, beans, rhubarb, collard greens and spinach. Foods that are high in phytic acid include whole grain and fibre containing products such as nuts, seeds, wheat bran and soy isolates. Note: The effect of these foods on the amount of calcium absorption by the body varies. For example, eating milk and spinach together or in the same meal reduces the absorption of calcium from the milk whereas apart from wheat bran no other wheat products affect the calcium absorption process when taken with milk. Calcium carbonate supplement: This supplement is available commonly and is convenient as well as inexpensive. Its absorption in the body totally depends upon the presence of acid in the stomach and hence it gets easily absorbed when you take it immediately after eating your meal. Calcium citrate supplement: This supplement is usually available only on prescription and is absorbed by the body even in the absence of stomach acid. Hence you do not need to take food along with this supplement. It has been found to be particularly useful in people suffering from absorption disorders, inflammatory bowel disease and achlorhydria. Other forms of Calcium supplements: These calcium supplements are also known as fortified foods and include lactate, gluconate and phosphate. Calcium citrate malate is a form of calcium that is well absorbed by the body and is present in fortified juices. Many calcium supplements also carry elemental calcium in varying amounts. Note: Absorption of calcium supplement is highest in the doses of 500 mg. Hence if you have been advised to take 1000 mg calcium supplement daily split the doses into two and take during two separate times in a day so that your body absorbs maximum calcium through these supplements. Do Calcium Supplements Cause Side Effects? Individual who have been prescribed calcium supplements may sometimes experience different types of gastrointestinal side effects such as constipation, bloating, gas or combination of all these symptoms. More often these side effects are caused due to calcium carbonate and hence you should talk to your doctor about the type of calcium supplement you need to take depending upon these considerations. The side effects of calcium supplement can be neutralized by spreading the dose of calcium all through the day. Calcium for women also helps in preventing diseases. Although not all claims related to calcium benefits are true, recent research throw a balanced view on the ability of calcium to protect women against certain diseases. During the growth years of children, bones increase in mass and in size and the bone mass reaches its peak around the age of 30. Research says that more peak bone mass helps in delaying serious bone loss as age progresses. The characteristics of osteoporosis include fragile and porous bones. Statistics indicate that out of 10 million osteoporosis patients in the U.S. 80% are women which is quite alarming. Since osteoporosis can lead to wrist, hip, vertebrae, ribs and other bone fractures calcium supplementation and vitamin D is usually prescribed to women after they cross 40. Data gathered from experimental and observational studies indicates that calcium does play a small role in preventing the occurrence of colorectal cancer. Several studies indicate that higher calcium intakes through supplements and foods have contributed in lowering the colon cancer risk. A follow-up Calcium Polyp Prevention Study has indicated that calcium carbonate supplementation has resulted in reductions in the adenoma risk-a form of non-malignant tumour inside the colon.Such tumours are considered precursor to cancer. Health experts have proposed intake of calcium to lower the risk of cardiovascular disease as it decreases the intestinal lipid absorption, increases lipid excretion, lowers the level of cholesterol in the blood and supports influx of calcium into the cells. The Iowa Women's Health Study has concluded that higher intake of calcium through supplements or diet reduced the risk of ischemic heart disease in the postmenopausal women. However there are certain studies that do not support this claim. Note: Similarly, various studies have been carried out to find the effect of calcium intake on different health conditions like hypertension and blood pressure, kidney stones and obesity. Although there have been some positive indications no study has indicated that calcium can increase or decrease the risk of these diseases. Calcium is necessary for proper functioning of bones. If the body does not get adequate amount of calcium there is a risk of developing osteoporosis (weakening and breaking of bones) and calcium deficiency diseases such as hypocalcaemia. Dietary Calcium deficiency: It is caused due to inadequate intake of calcium that further leads to depletion in the calcium storage in the bones. This leads to weakening and thinning of bones causing osteoporosis. Hypocalcemia: This is caused due to low calcium levels in the blood. Regular intake of medications such as diuretics or medical treatments proposed for hypoparathyroidism or renal failure can cause this type of calcium deficiency. Insufficient amount of calcium in the diet is never the cause of hypocalcemia. For the proper functioning of the body presence of calcium in adequate amount in the blood is vital. In the absence of adequate calcium level in the blood, the body draws calcium from the bones and thus the bones start losing their strength. If this process continues, the bones become weak and fragile leading to bone diseases and osteoporosis. In women,such chances are more as they also lose calcium during their postmenopausal period. 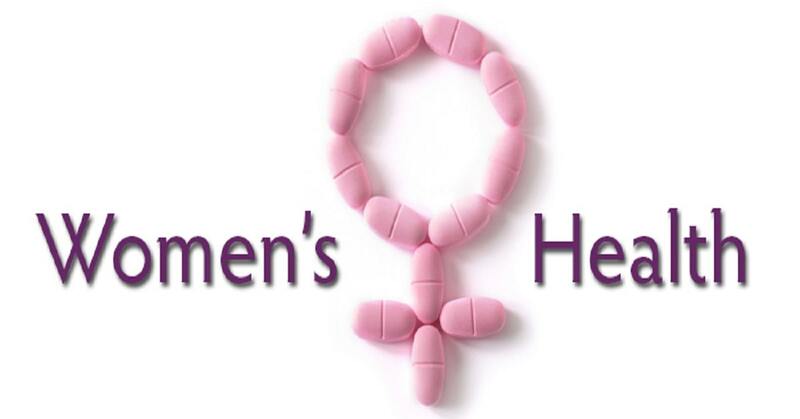 Women tend to lose lot of bone during menopause as the production of estrogens during this period starts decreasing. The annual loss of bone mass in such women is around 3 to 5 %. Although increasing intake of calcium in women is not much beneficial in restricting the bone loss, hormone replacement therapy carried out with progesterone and estrogens help to manage the level of calcium in the body of the postmenopausal women. With the help of the estrogen therapy postmenopausal bone remodelling is made possible and the amount of bone loss can be restricted. This in turn increases the capacity of the gut to absorb calcium thereby balancing the calcium level in the body of the postmenopausal women. Amenorrhea is the condition found in women in which the menstrual period either fail to start in young girls or stop completely in women of childbearing age. Thus, Calcium for women health is very important. Such a situation is caused when the circulation of estrogen levels is reduced leading to imbalance in calcium levels in the body. Women suffering from Amenorrhea have lower calcium absorption capacity and higher rate of calcium excretion as well as lower bone formation rate as compared to the healthy women. Decreased bone mass is caused due to the female athlete triad which is a combination of eating disorder, osteoporosis and amenorrhea. Such a triad is more common among highly active women including athletes and women working in military or other profession requiring increased physical activity. People with lactose intolerance or those who are allergic to milk face the risk of calcium deficiency. Such people should consume lactose up to 12 grams with other foods such as Swiss and Cheddar cheese, lactose-free or lactose-reduced milk or yogurt. People who are allergic to calcium cannot consume the protein in the cow's milk and hence are more at risk of calcium deficiency. Such people should include non-dairy calcium rich foods in their diet such as bokchoy, kale, collards, Chinese cabbage and broccoli. Vegetarian are more at risk of calcium deficiency than the omnivores as these people consume plant products in more amounts. Since some of the veggies are loaded with calcium absorption inhibiting phytic and oxalic acids, the vegans do not get sufficient amount of calcium through their dietary intake. The recent study conducted by the Oxford cohort of the European Prospective Investigation into Cancer and Nutrition shows that although both omnivores and vegetarians are at equal risk of getting fractures, the vegans are slightly more at risk than these two. Most often aging causes the deficit of calcium in women. Aging causes decline of Estrogen hormone mainly during menopause resulting into thinning of bones. During this period calcium intake should also increase. But many times due to lack of knowledge or negligence proper dose of calcium is not taken which results in calcium deficiency disease. it is very important that women should take the prescribed dose of calcium during menopause. They should also consume food rich in calcium to avoid brittleness of bones. It is recommended that women should take around 1500mg of calcium per day during and after menopause. Starvation can also lead to calcium deficiency. In certain cases body fails to absorb calcium and vitamins from the food we eat which is also called as malabsorption. Babies with premature birth or those who are born to diabetic mothers or have lowered oxygen levels during growth have risk of hypocalcaemia. Hypoparathyroidismwhich is a hormonal disorder can also lead to calcium deficiency disease. People with Hypoparathyroidism are unable to produce sufficient parathyroid hormone which controls blood calcium levels. Insomnia is another important symptom of decrease in calcium levels. People who consume less calcium often cannot sleep at night. Sometimes a person can fall asleep due to low calcium level but will suffer from loss of deep sleep. Calcium in our body has a direct control on our teeth. When the body is deficit of calcium decaying of tooth can be seen. If children are not getting enough calcium at an early age there can be delay in tooth formation. Low calcium levels in children can result into poor bone density. It can lead to fractures, spasms, aches and rickets. Severe calcium deficiency symptoms include numbness in certain body parts like face, hands and feet, contractions, memory loss, kidney stones, PMS, depression and illusions. Nails of hands and feet require sufficient amount of calcium for proper growth. Brittleness in nails is a common symptom due to lack of calcium. The skin of body also gets dryness. Excessive deficiency of calcium in pregnancy can lead to miscarriage in women. Calcium deficiency in young females leads to delay in puberty. Apart from late puberty signs teenage girls may also face other menstruation related issues. Premenstrual cramps are common in teenage girls due to low calcium level. Prolong Calcium deficiency in women can lead to weakening of bones which may develop osteoporosis. It is a disease in which your bones become brittle due to lack of calcium. In this disease even with a little injury your bones tend to get fracture. Osteoporosis can lead to further complications such as spinal fractures, disability and difficulty in walking. If you feel the symptoms of hypocalcaemia you should immediately contact your doctor. 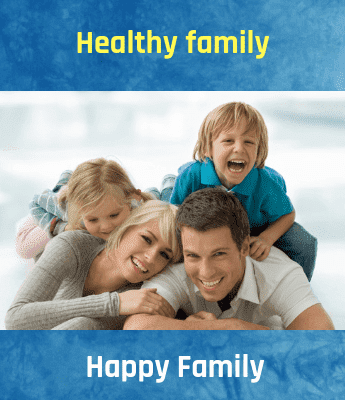 After certain investigations about family history and your medical history your doctor will send you for blood test. If calcium levels are low in your blood for a sustained period then it may lead to confirmation of calcium deficiency disease. To prevent calcium loss from your body it is advisable to consume calcium and vitamin D on daily basis. It is always good to consult your doctor before taking calcium supplements. The dose of the supplements varies according to age and gender. Do not forget to take Vitamin dose also along with calcium because it will help in rapid absorption of calcium into the blood. It is important to note that foods which are rich in calcium and Vitamin D like dairy products are usually high in fats. Always be careful while choosing calcium-rich products. Ensure that these foods are low-fat which will reduce the risk of getting high cholesterol and heart disease. Introduce multivitamin in your diet. A multivitamin is not a complete solution for calcium deficiency but when combined with a proper diet can be helpful. For pregnant women prenatal vitamin is advised. Excessive intake of calcium can lead to constipation. Excess Calcium intake through supplements in adults can lead to kidney stones. Some Medical studies have shown that people with higher consumption of calcium developed risk for prostate cancer and heart disease. Excess intake do not generally comes from food but because of supplements. Older women are at higher risk. The amount of calcium levels in the body are controlled by vitamin D and parathyroid hormone and regulates the proper absorption of calcium through food, removal of excess calcium through kidneys and mobilizing the calcium to blood and bones. Abnormal levels of calcium in the body indicate that there is a problem in this regulatory system and needs to be traced. Almost half of the calcium present in the body is attached to proteins-albumin. That is why many times one calcium blood test is not considered enough for exact diagnosis of calcium deficiency. Hence, doctors sometimes also recommend a separate test that measures the amount of calcium in the flood and which is free from proteins. This calcium is known as ionized or free calcium. Calcium can also be measured through urine test. There is no such risk in this blood test but some patients can experience excessive bleeding, fainting, hematoma, infection or multiple punctures in blood vessels. PTH or Parathyroidhormone Test: When the calcium levels in the blood are low, parathyroid glands begin to secrete parathyroid hormone. This hormone induces the bone to release their calcium reservoirs in the blood. Contrarily, when the calcium levels in the blood become normal the secretion of t his hormone decreases. A test is carried out to distinguish whether the cause of low levels of calcium in the blood is due to parathyroid or non-parathyroid causes. Note: Hyperparathyroidism is caused due to overactive parathyroid glands in which PTH levels increase. This type of thyroid is more common among women and hence this calcium test is commonly advised to women. Vitamin D: When the calcium level in the blood is low PTH triggers of the vitamin D production in the body to support the calcium absorption process of the intestines and mobilize the bones to release calcium. Deficiency of vitamin D, which can be due to dietary deficiency, impairs the absorption of calcium in the blood thereby causing low calcium levels. Phosphorus: This mineral is extremely important for production of energy and building of bone. Vitamin D and PTH regulate the levels of phosphorus. So in case the deficiency of vitamin D or hyperparathyroidism is suspected due to the inadequate presence of calcium levels in the blood, a blood test to check the levels of phosphorus is generally recommended.